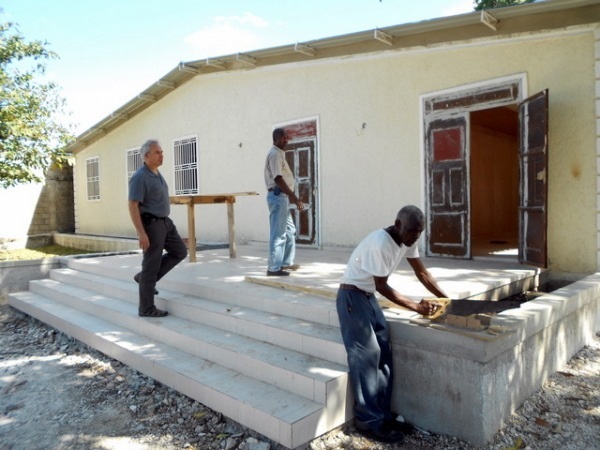 The SJF Haiti Solidarity Fund provides an example of how international support for public sector unions can be crucial in helping workers in other countries build a democratic civil society which is key to rebuilding a more just national project. Following the 2010 earthquake, the SJF began working with the CSTP, the Confederation that brings together 13 unions, covering utilities, maternal and social benefits, archives, municipal workers and others. PSAC, CUPE and other Canadian and Quebec unions financed the construction of a new headquarters for the CTSP which had been destroyed by the earthquake. Completed in March 2012, the new building provides facilities for the various unions and their members to gather under one roof, and space for training and capacity building. In 2011-2012, the CTSP participated in the campaign to promote trade union activity in the country, particularly emphasizing the role of public services in rebuilding a nation. This approach was filmed as part of the production of the Ann Kore Moun film that several Canadian unions, including the PSAC SJF supported in 2011-2012. The PSAC SJF is supporting the CTSP to expand organizing and educational services to the Northern and Southern regions of the country, which have not been serviced adequately by the union movement until now. Building on teachers, health, energy and agricultural workers unions in the provinces, the CTSP aims to launch a nation-wide decent work agenda and to educate workers about their labour rights and their right to quality public services. The basic training and capacity building will reach approximately 200 persons in the first year, starting with the delivery of four basic union education course, developed by the FTQ and supported by the SJF in 2014. This cycle be followed by training on organizing, and collective bargaining in Year 2. Union building in the public sector is extremely strategic given that the “reconstruction” government is threatening to privatize education, health and electricity in the country, and large scale mobilizing across the country is expected. But equally important is the need to organize the informal sector of the economy, which has grown and expanded since the earthquake, as people are forced to eke a livelihood, through their own creative endeavours. In 2014, the CTSP educational program developed a very successful training seminar on organizing in the informal sector, which will form the basis of the current program.